Many business owners, particularly in start-up’s where resources can be stretched thin in the early days, could easily dismiss taking out insurance and deem it unnecessary expenditure or simply not even cross their minds. However, it could be a potential lifeline to keep your business protected, and able to remain trading should misfortune strike. Taking out insurance will undoubtedly add to your costs, but having that safety net, and peace of mind knowing you’re covered if something were to happen can protect the longevity of your business. While the majority of insurances available to cover UK businesses are optional (with the exception of Employer Liability Insurance), your business will be required by law to hold at least one or more licences depending on the nature of its operations. Generally speaking, under UK law, businesses are not required to take out any form of insurance, with the exception of Employers Liability Insurance if you employ anyone. However, there are certain insurances that business owners should seriously consider in order to protect themselves and their businesses. Employers Liability Insurance is the only insurance required by UK law if you or your business employs 1 or more employees. As it is required by law, any business that is not covered by employers liability insurance will incur penalties of up to £2,500 per day that the business has not been covered by the insurance. This insurance is intended to cover the costs of any injury claim made by an employee of the business to at least the value of £5m. Exceptions however, can be made if only immediate family members are employed. Professional Indemnity Insurance provides protection for your business against claims made by customers or clients that believe you to have made an error in the work you have provided for them. This would be more appropriate for businesses providing professional services such as lawyers, marketing firms, and consultants etc. Professional Indemnity Insurance can cover any legal cost or compensation if claims were to be made against your business. Such claims can include breach of contracts, confidentiality, copyright, or advice leading to a loss of profit or income. 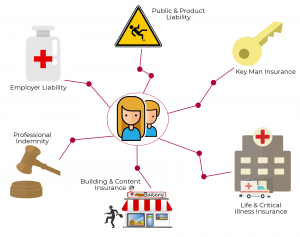 Public Liability Insurance covers the business against injuries sustained by members of the public caused by your business or its activities, for example if a customer is hurt by slipping on a wet floor in your business. 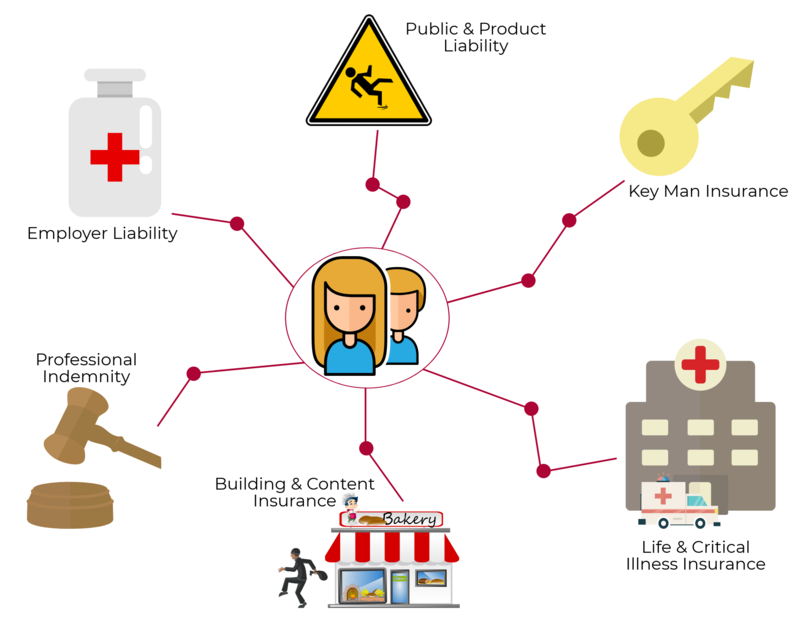 Product Liability, as you might assume, covers the business against injury claims caused by a product that you sell. It goes without saying that an important consideration for any business would be to insure the contents of your office, and the building itself if you are the owner of the premises. If you are running your business out of a home office, then it would be an astute practice to revise your home insurance policy as it may not cover business activities. Key man insurance can be a shrewd move for smaller businesses that operate utilising a few key staff members filling the vital roles within the business. As a varied form of life insurance, it essentially protects against the loss, or long absence of an employee that is vital in maintaining the businesses regular operations or output and will cover any loss of revenue suffered, or the cost of finding and training a new employee to fill the role. 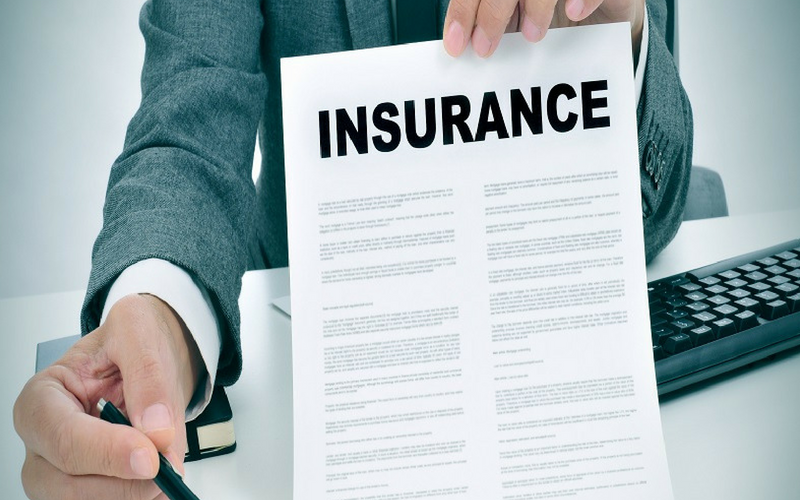 Arguably most beneficial to ‘one man bands’ such as Sole Traders or self-employed consultants, it can cover you if you were to contract an illness stipulated within the insurance policy. It can be used to help pay for mortgages, rent, or debts if you are unable to work. Alternatively, as well as traditional life insurance, business protection life cover can be taken out on behalf of a shareholder, or business partner in order to maintain financial stability for the company. When setting up a business, depending on the products or services you provide, you may need to obtain one or several licences. Many of these will be integral in ensuring that your business is operating legally. Others however, might be complementary or be obtained in order to improve the working environment. For example, you will have to obtain a PRS licence in order to play background music in your place of work. Most licenses required however, will be based on the specific operations of the business and will therefore will need to be obtained before you commence trading, or provide that product/service. You can find a comprehensive list of all the varying types of licences you might need to obtain by searching the .GOV licence finder. The type of business you decide to set-up will undoubtedly be a major factor in determining what insurance and/or licences you will be required to obtain in order to stay compliant and operate legally. Every businesses situation is different, so having a knowledgeable sounding board to help determine what insurances and licences you’ll need to obtain based on your business activities is key. If you have any questions about insurances and licencing for your business, then please feel free to get in touch with us. Is Cash Planning & Forecasting Important?